No, travel with kids doesn't have to be stressful. These tips and trips make the process so much easier! Family trips that involve travel with kids may conjure up images of constant bickering between siblings and pained sighs of “I’m bored!” at least ten times an hour, but with some planning and a little patience, your family can make exploring a new city or tourist attraction much more enjoyable. Time Out New York Kids spoke with five parenting and travel experts to find out the 25 best tips, tricks and hacks for making family vacations with kids of all ages much easier. Get your kids involved in planning. Buy tickets for attractions and events ahead of time. Avoid long lines! “We buy tickets in advance for attractions that have a high likelihood of being sold out to prevent ‘meltdown central,’” Amy Rosenow, mom of two and co-founder of Jugl, told us. Consider a house or apartment exchange instead of a hotel. Let older kids act as tour guides. Make your vacation educational. “Allow older kids to help choose attractions or even write reports at home and serve as a tour guide during your trip,” Rosenow said. Crowdsource itineraries from friends who have kids. Pack Zip Lock “activity bags” for restless kids. Prevent boredom before it happens. “We pack about 20 Zip Lock bags with a busy activity inside,” Estelle said. “Have plenty of sketch paper, pencils and erasers available and have an assignment like: ‘Who can draw the best Montana sky for me today?’"
Bring your own booster seat. Don’t assume restaurants, hotels or modes of transportation will have one. Rosenow recommends BubbleBum for bigger kids and Go-Go Babyz Travelmate for younger tots. Pack only quiet toys with few small or moving parts. Put name labels on everything. Give kids their own camera. Use pre-check to speed up airport lines. 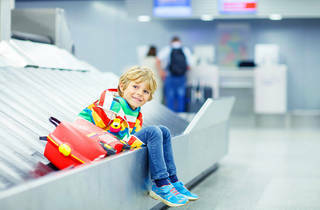 “Almost all airlines offer early boarding for families with small children, which means you can get your family settled long before other passengers get onto the plane,” Smith said. Pick flights with the fewest layovers. Give kids fully-charged devices with downloaded content for long trips. 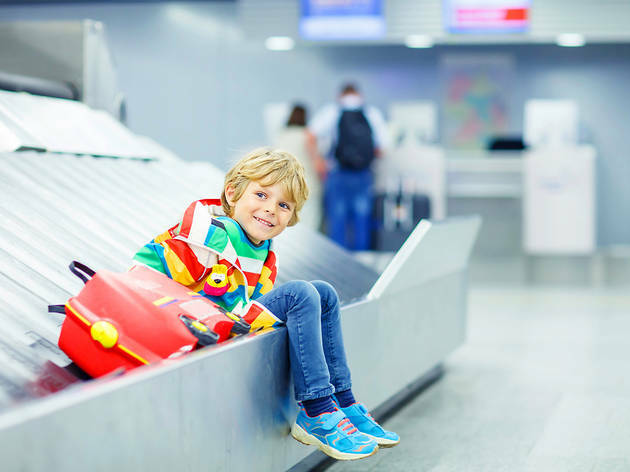 Get frequent flyer miles for your kids. “Our youngest was able to get a free ticket using her own miles before she was 6 years old,” Rosenow said. “Airport prices make even the most expensive cafe around the corner seem cheap, so we treat ourselves to whatever we want at the local fancy spot that's usually off-limits and then bring it on the plane,” Nevins said. Rent a car instead of relying on public transportation. “I’m bored is not allowed!” Estelle said. “I suppose we all get bored at times, but fortunately while traveling, the scenery is always changing: the clouds, the cars you pass with their weird bumper stickers, the topography, the animals.” She and her family sing songs, make up poetry and listen to audiobooks on long car rides. Turn trying new, foreign foods into a game. Plan outdoor activities that get restless kids moving. Don't forget to visit the public parks (which are typically free). Now that you're ready to book a grand adventure, check out our list of the best family vacations, figure out fun places to go with kids or take a gander at these kid-friendly all-inclusive resorts. Joanna Fantozzi is a freelance food and lifestyle writer and connoisseur of all types of melted cheese. Follow her work on Twitter @JoannaFantozzi.